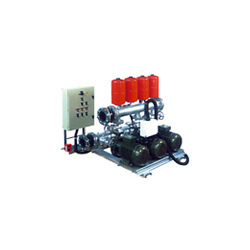 Pioneers in the industry, we offer pressure pump and hydropneumatic pressure system from India. It is designed to deliver real bathing experience at the most economical rate and ease of installation. Encased in a heavy duty cast iron body with a brass impeller, it is a step ahead of the toughest of pumps. It performs under some of the most difficult situations like low-high power fluctuations, hard water etc. 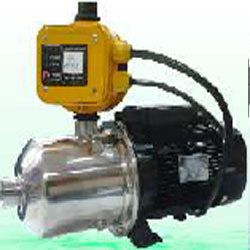 This pump is powered by totally enclosed fan-cooled induction AC induction motor, suitable for continuous duty. 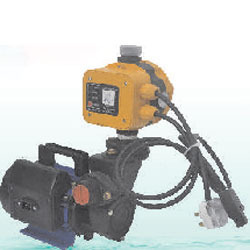 We are known as a foremost manufacturer, exporter, trader and importer of an excellent range of Pressure Pump. Simply connect the suction to your home water tank and discharge to the connecting pipe leading to the bathroom. 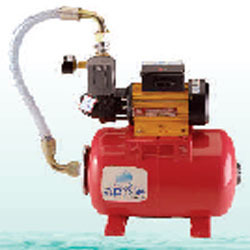 The offered pressure pump is designed as per the market norms using premium quality material and modular technology under the supervision of experts. This pressure pump is accessible in various specifications, in order to meet the vast requirements of our customers. Ruggedly designed to provide your precious bathing systems with enduring power for maximum performance. The Tango Series ensures peak functionality by providing the right pressure at the right time in an economical manner. So it looks after pressure as well as your pocket. 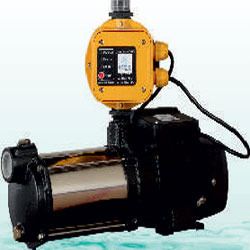 The Tango pump is easy to install and operate. Simply connect the suction to your home water tank and discharge to the connecting pipe leading to the bathroom. Give electrical supply and just switch it on rest is "WOW! 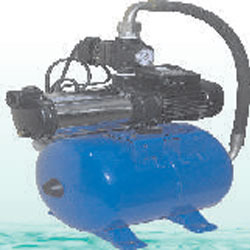 WHAT A FEELING I"
We have emerged as the leading manufacturer, exporter, trader and importer of Pressure Pump. The offered pressure pump is designed from the finest quality material and sophisticated technology, in adherence with set industrial standards. 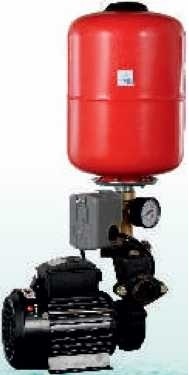 This pressure pump is encased in a heavy duty cast iron body with a brass impeller. 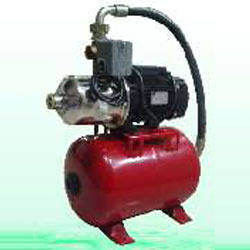 We offer this pressure pump in various specifications and deliver it within the promised time - frame. We all use water differently; we all have our daily rituals and our own tastes. These different requirements are fulfilled by our new Euro Series. It is designed to boost the performance of your bathing systems hence optimizing their benefits. These pumps are engineered using high grade stainless steel components : impeller, diffusers, shafts and body. They can provide pressurized water in each shower of every bathroom. These pumps are the ultimate silent performers and only sound you'll probably hear is "WAH....KYA'BATH' HAI "
Apple's variable-speed technology has proved to be most efficient in adjusting a pump's hydraulic performance to the pressure and flow requirements of supplying water. For instance where a constant pressure is required regardless of the water flow requested, a high quality oscillation-free service is obtained, guaranteeing greater durability in addition to improved efficience of the equipment and its installation. Ideal for hotels, hospitals & apartments which need equal high pressure water at all floors.